Anyone who would like to start 3D printing on a small budget may be interested to know that the latest official Raspberry Pi magazine issue 69 features affordable 3D printing systems Powered by the awesome Raspberry Pi mini PC. The latest issue of the Raspberry Pi MagPi magazine is now available to download and purchase both digitally and from high street newsagents. Other features in this month’s issue include different ways to make your Raspberry Pi mini PC portable as well as instructions on how you can build your very own Raspberry Pi TV Stick and plenty more. 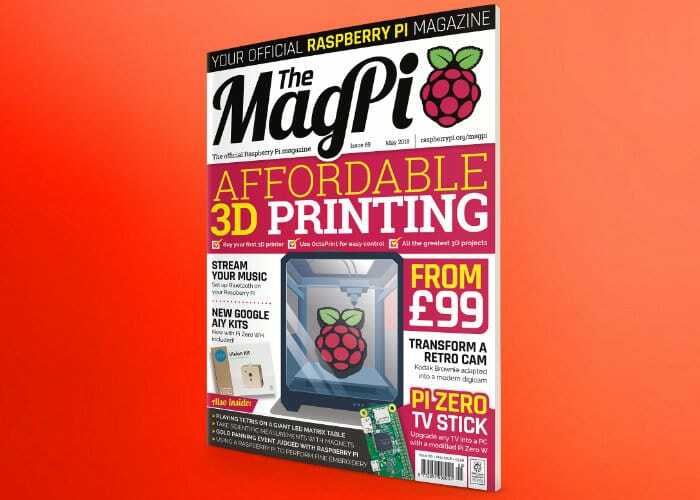 Issue 69 of the MagPi magazine is available from WHSmith, Tesco, Sainsbury’s, and Asda in the UK. If you live in the US, from Barnes & Noble or Micro Center in the next few days in print. Although the Raspberry Pi magazine is also available as a digital copy both directly from the online store and via the Raspberry Pi magazine apps for iOS and Android. Don’t forget, there’s always the free PDF as well, For more information jump over to the official Raspberry Pi Foundation website by following the link below.